Fenchurch Street station started life as the terminus for the London & Blackwall Railway (L&BR) in 1841. In 1858 it also became the terminus for the London, Tilbury & Southend Railway. These latter services have survived, currently run by c2c. When the line was electrified in 1962, many of the stations between Fenchurch Street and Upminster were closed. 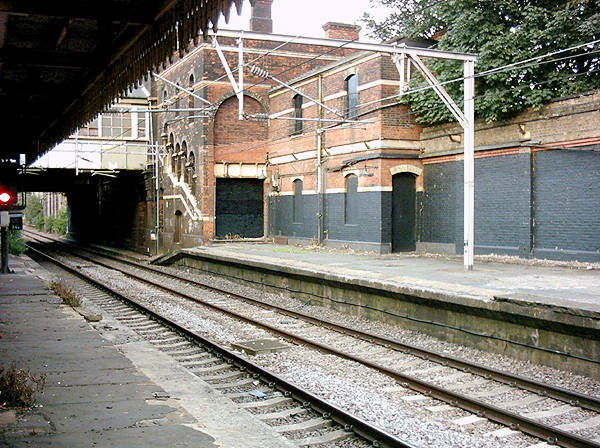 Built as part of the L&BR extension line (to link up with the Eastern Counties Railway, and the aforementioned LT&SR, it competed with the nearby District Line station at Mile End. Aerial view, courtesy of Google Earth, showing the location of the station. Southward view. The station was located on the right hand side of the bridge as seen here. Looking from the other side of the viaduct at the site of the station platforms. Looking eastward at the rebuilt bridge taking the A12 over the line. Eastward view. The District line platforms are on the left. View of the station looking westward. The structures seen here in 2004 remained intact until 2009 - move your cursor over the image to see the same view in 2010. The station building is used by the adjacent District Line - the District Line building, while incorporated into the mainline station building, is not normally used as an entrance/exit. Westward view from the eastbound platform. 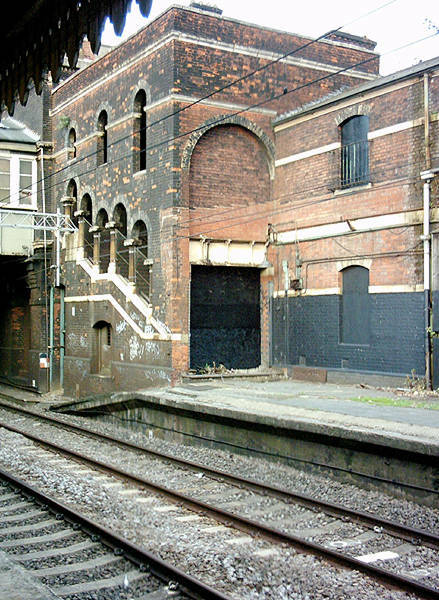 The platform buildings seen here in 2004. Move your cursor over the image to see the same view in 2010. The existing District Line station is seen on the left of the railings here.